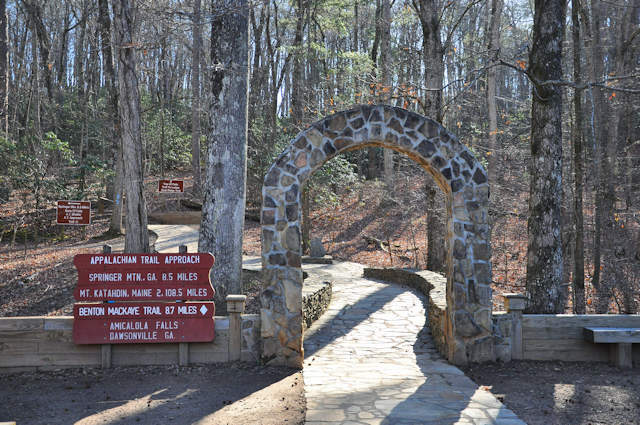 A concrete arch behind the visitor center at Amicalola Falls State Park marks the beginning of the approach (8.5 miles) to the Appalachian Trail. 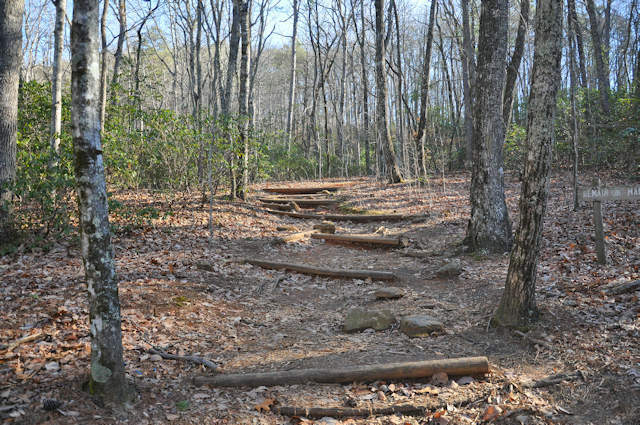 Even if you don’t plan on hiking the AT, you might enjoy this trail. 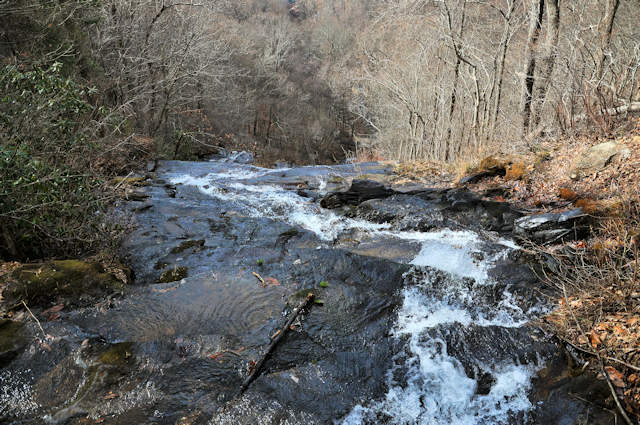 Amicalola is the highest waterfall in Georgia and the views from the top of the falls (seen above) is one of the nicest in the southern Appalachians. 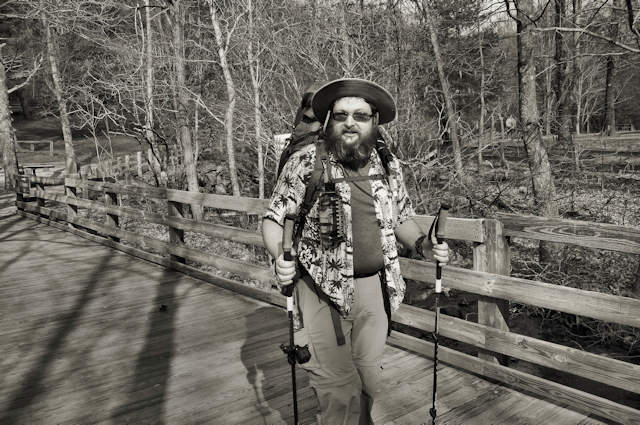 When I was visiting Amicalola Falls I met several Appalachian Trail (AT) thru-hikers just setting out on their journeys. This gentleman had just made the drive up from southern Louisiana and was surprised by the warm weather. 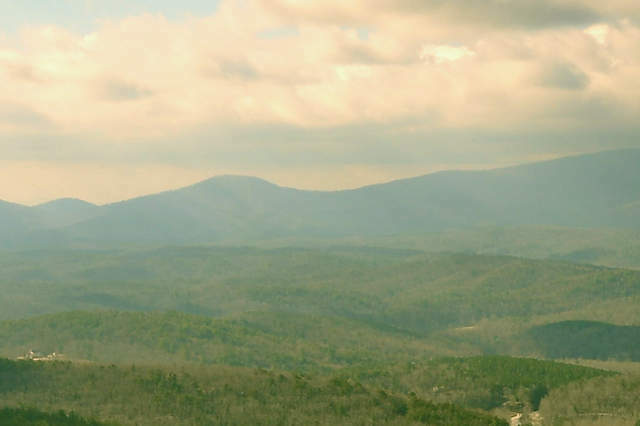 The approach to the AT begins at Amicalola and winds its way up 8.5 miles to Springer Mountain, the trail’s southern terminus. Thousands of hikers pass through here every year with high hopes of making it all the way to Mount Katahdin, Maine. Most don’t quite make the grade, but all are drawn by the solitude and natural beauty of the trail. Whether seasoned hikers or first-timers, all come away from the experience with stories to tell.